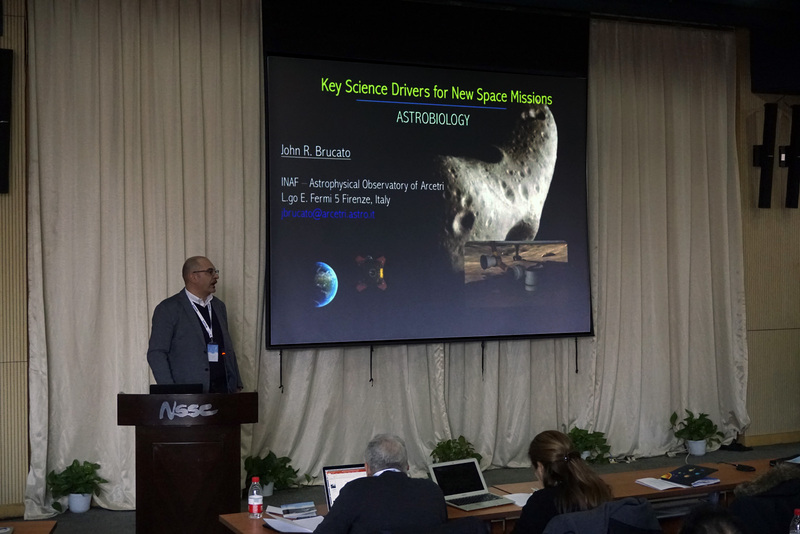 The latest ISSI-BJ international forum discussed the potential roads to a future China-led mission to a small body of our Solar System. Photo 1: The ISSI-Beijing forum participants pose for History in the chilly morning of January 17th, 2018, after swearing they will join forces with China to bring a precious sample for an asteroid or a comet before the end of the next decade! ISSI-BJ is participating actively to the preparation of the 14th five-year plan of the Space Priority Program of China, which will include space science missions to be funded for launch in the 2021-2025 time frame. To this effect, we are organizing a series of five international forums addressing key challenges of space science. 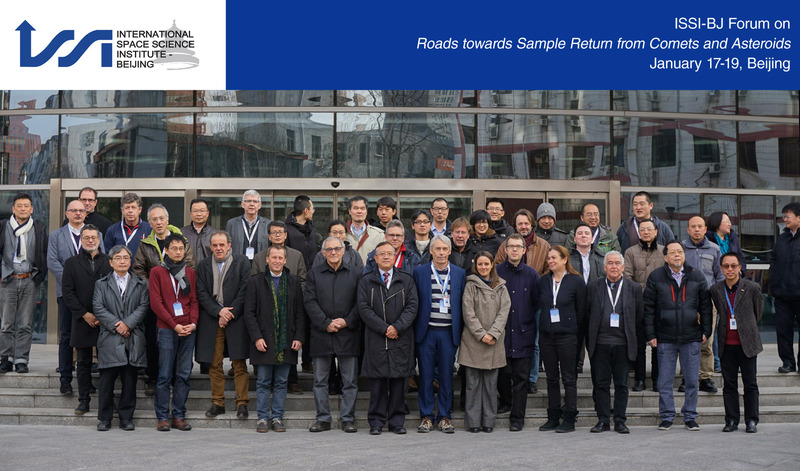 The fist forum of this new cycle, entitled "Roads towards Sample Return from Comets and Asteroids" took place in our premises on January 17th to 19th, 2018, with the participation of 40 international experts, including ten from China and five from Japan. The populations of Small Bodies, in particular comets and asteroids, are the last witnesses of the origin and early evolution of the Solar System and of the formation scenarios of its planets. Collecting samples from these objects to analyze them using the powerful analytic tools available in our Earth-based laboratories is one of the most promising ways of reading the early History of our Solar System to learn about our own origins. This is the reason why several space-faring nations, mainly the United States, Japan and Europe, have programmed sample return missions from these bodies for the coming decade, in complement to remote-sensing and in-situ-analysis space missions. Among them, China prepares to select and fly a full-scale sample return mission from a small body as a component of its 14th five-year plan for priority space science missions. The main objective of the forum was to place this initiative in the broadest possible scientific and international context, so as to produce good advice to the teams which are actively preparing this mission. In this perspective, the first task of the forum participants was to discuss in detail the science drivers and the key objectives to be assigned to sample collection and analysis (photo 2). Photo 2: Dr. John Brucato of the Astrophysical Observatory of Arcetri (INAF), Florence (the home town of Galileo Galilei) introduces the audience to the astrobiology objectives of sample return from small bodies: these objects bear a significant fraction of organic molecules, from simple to very complex ones, which may have played a role in the development of prebiotic chemistry in planetary environments. The forum then proceeded to a comprehensive review of sample return missions, from already flown ones (Stardust and Hayabusa), through those which have been selected or pre-selected for flight (Hayabusa-2, MMX, Osirix-Rex, DESTINY+) to the new mission candidates. 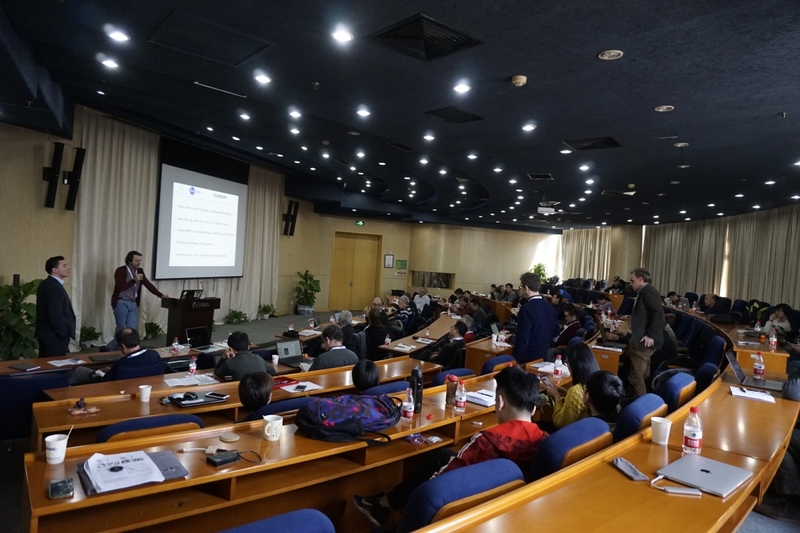 In this last category, four very promising mission objectives and scenarios currently elaborated by teams of Chinese scientists and engineers were presented and discussed, together with the SPS-Trojans mission study of JAXA. The different Chinese proponents were encouraged to continue to work together towards the emergence of one favorite mission that will guarantee the best science return. Photo 3: Prof. LIN Yangting of the Institute of Geology and Geophysics, CAS (Beijing, China) tells the audience how a sample return from a near-Earth asteroid, like the one described in his PANGU proposal, will open a new window on the still poorly known first 10 million years of the Solar System History, during which giant and terrestrial planets started to assemble. The morning of the second day was devoted to a review of the basic technologies needed for a technology missions, and of their constraints on the design of flight platforms, building on the lessons learnt from previous missions to small bodies, particularly ESA’s Rosetta and its Philae lander, and on the potential interest of some innovative technical approaches. Photo 4: Dr. Daniel Hestroffer (IMCCE, Paris Observatory) presents to the audience the potential applications of small and mini satellites to the scientific exploration of small bodies. The whole afternoon of the second day was devoted to live discussions between the forum participants of all countries, building on a tentative synthesis by Prof. Wing Ip of NCU, Taiwan and moderated by Prof. Masaki Fujimoto of ISAS/JAXA, which aimed at elaborating conclusions and recommendations. The final version of these conclusions, to be be published in our Taikong magazine by the middle of this year, will contribute to the exciting objective of preparing a major contributionThe whole afternoon of the second day was devoted to live discussions between the forum participants of all countries, building on a tentative synthesis by Prof. Wing Ip of NCU, Taiwan and moderated by Prof. Masaki Fujimoto of ISAS/JAXA, which aimed at elaborating conclusions and recommendations. 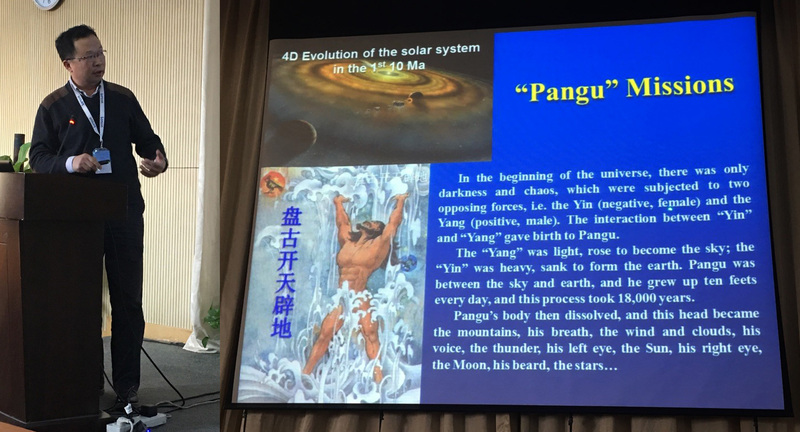 The final version of these conclusions, to be be published in our Taikong magazine by the middle of this year, will contribute to the exciting objective of preparing a major contribution of China to the study of the small bodies of the solar system.he study of the small bodies of the solar system. 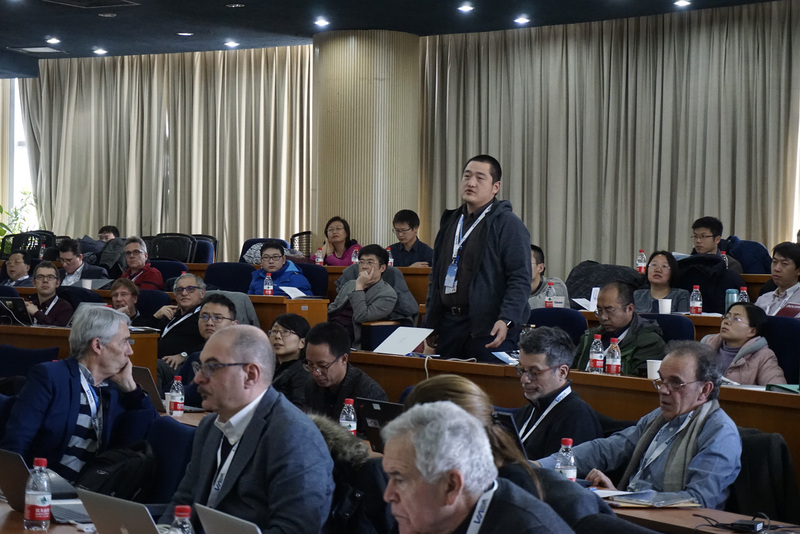 Photo 5: The live and open discussion of the last forum afternoon led to the definition of the forum main conclusions, which will be published in the Taikong magazine by the middle of this year.